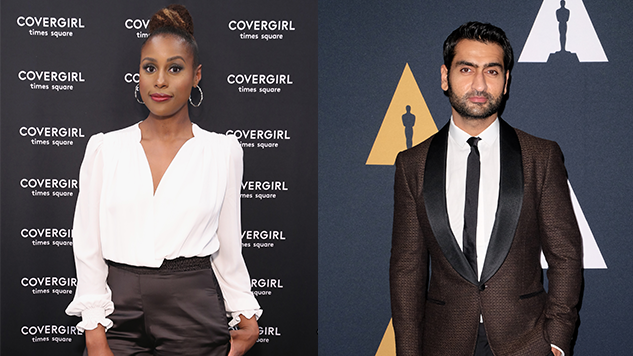 The movie gods have smiled upon us this Friday (Jan. 18), as Issa Rae and Kumail Nanjiani are starring in the new romantic comedy The Lovebirds. The film will see Nanjiani reunite with The Big Sick director Michael Showalter, as per THR. Considering the success of this previous collaboration, it should come as no surprise that is being fast-tracked, with production kicking off at the end of January. The story follows a couple (Rae and Nanjiani) whose relationship is in jeopardy. Soon, their lives are on the line, too, as they find themselves in the midst of a strange murder mystery. The pair must prove their innocence, catch the culprit, and see if they can save themselves and their relationship before the night is through. Color us intrigued. The writing team is made up of Aaron Abrams and Brendan Gall, who previously collaborated on The Go-Getters, and Martin Gero, whose writing credits include the TV series Blindspot and HBO’s Bored to Death. The project was recently picked up by Paramount, and is co-financed and co-produced by MRC. Nanjiani, Rae and Showalter are all serving as executive producers. Other producers include Tom Lassally, Oly Obst, Todd Shulman, Jordana Mollick and Gero.